Rent a french furnished country house(cottage), spacious and sunny. 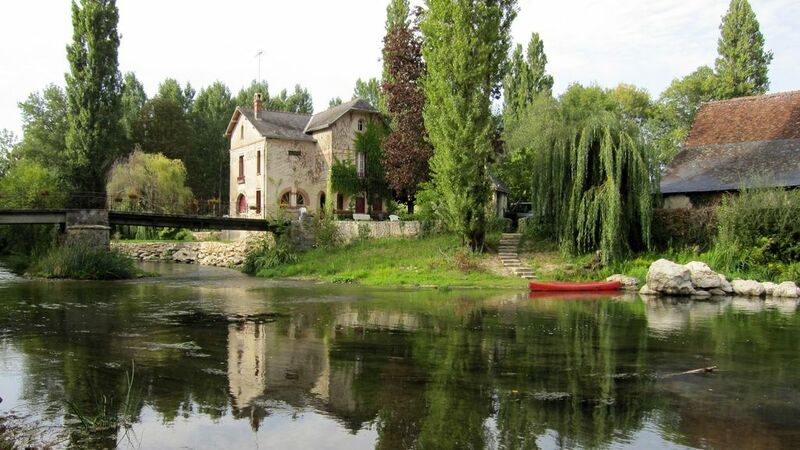 Private island and property of 4 hectares on the Indre river. Fishing, bathe, canoeing, hikes. Please have a look on the rates and booking calendar on our web site. A very nice and quite place to stay. The old house gives you the feeling of living hundred of years ago, especially in the evening and at night. The sun of Mr. V. is very kind and helpfull, when needed. Many things to do in the surrounding: cycling, wandering and visiting many tourist places. "This is a big beautiful old house in lovely surroundings. The owner was very helpful, supplying us with everything we needed. Accomodation was clean and spacious. Surroundings were wonderful,with a stream/wood/fields outside, and the Town of Loche just a 5 min drive away." "A lovely peaceful and relaxing location, yet close to many chateau's and interesting town's, plenty of good restaurants most of which accept dogs. We were unlucky with the weather so were unable to enjoy any swimming or boating in the river, however we did have some very pleasant walks. Our hosts were very friendly and made us very welcome." "This property was well represented in the advertisement. The house was clean, comfortable and quaint. The island on which the house sits and surrounding area were less clear from the description but nevertheless very lovely. Phillipe and his wife are lovely people to deal with and we would have no hesitation in recommending the property and in staying there again ourselves. We had a wonderful stay." "Beautiful spot, a mile or two from town, nice swimming in the river." In Tours's south, 4 kms far from Loches. Detailled explanations on our website. Please have a look on the rates and the booking calendar on our website.